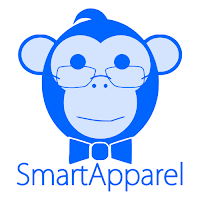 I agreed to post the following from Smart Apparel without compensation. This is not something I do routinely, but I was happy to see another small business marketing products for the secular community, and I wanted to give them a boost. With atheism on the rise, it is making it easier for closet atheist to come out and be heard, and Smart Apparel is doing what we can to ensure that this movement continues to grow by creating a wide variety of shirts that promote a smarter world. Some of our atheist shirts are very subtle in promoting skepticism and reason while others will expose you for the godless heathen that you are. 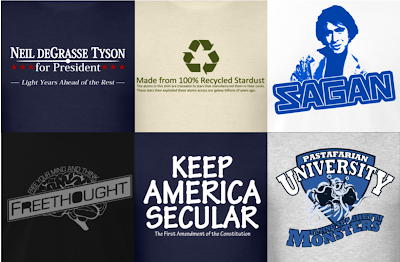 But we don’t just create shirts about atheism and skepticism; many of our products focus on philosophy, politics, and of course science. We have one of the most popular science shirts on the web called Recycled Stardust along with a new line called Family of Retro Scientists which currently feature Carl Sagan, Bill Nye, and Neil deGrasse Tyson. Not only are we promoting a smarter world with our tee shirts, we often post interesting and mind boggling statistics about the universe on our Facebook page. For example, did you know that if you were to count to a trillion counting one number per second, it would take you 31,000 years to finish counting! 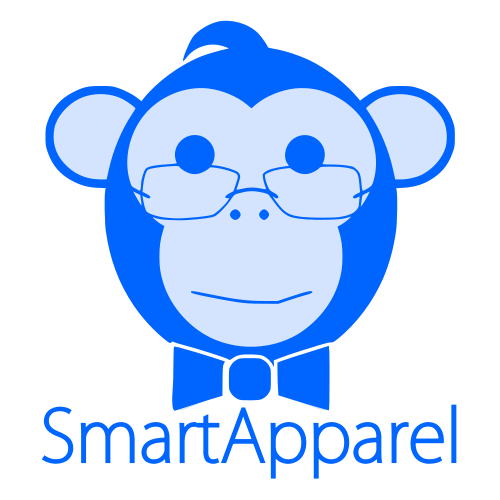 Join Smart Apparel in promoting a smarter world and check us out on Facebook and Twitter.